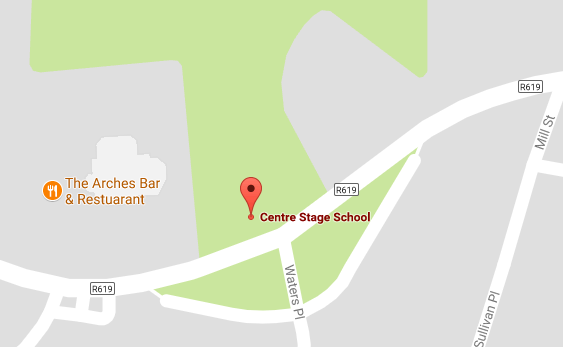 Founded by Aideen McAuliffe in 2003, Centre Stage School has evolved into a centre of excellence in performing arts. On completing a Masters in Drama and Theatre Studies at NUI Galway and studying musical theatre in Washington, USA, all Aideen’s creativity and energy was dedicated to the development and management of Centre Stage School. Many exceptionally qualified and creatively talented teachers have since joined forces with Aideen assuring a highly creative learning environment where all students’ personal talents can shine. Pupils from as young as three years are treated to a curriculum that provides recreational access to the arts, as well as a high quality education. An impressive list of productions is now accredited to the school, accompanied by an accomplished tradition of examination and competition results. Centre Stage teachers aim to create a safe environment where they can nourish the individuality and creative spirit of all students, encouraging them to grow in confidence as performers and as people. Each student is given the opportunity to excel in their area of interest, reach their full potential, follow their dreams and enable them to become more confident young adults. For some, this is a hobby and for others, it is the start of a career. Centre Stage has numerous past pupils studying musical theatre, voice or drama at third level education, and several are currently employed professionally in the arts industry. Our staff are carefully selected and all have achieved the highest standards within their own area of expertise. Given that we have inspired past students to pursue careers in The Arts and Music, we are extremely proud that many of our teachers have been been former Centre Stage Students. Since 2003 the school has prospered beyond Aideen’s wildest dreams. Her hope is that the students receive an extremely high standard of training while gathering a treasure trove of happy memories, new friends and a love of the performing arts that will remain with them for the rest of their lives.